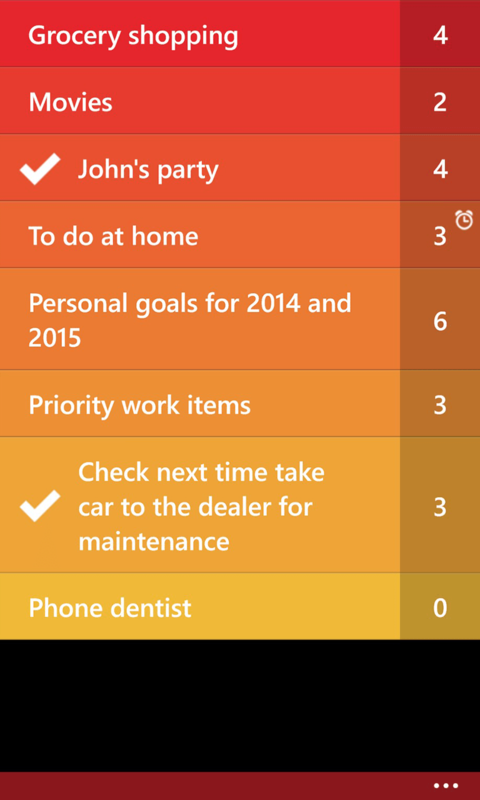 The app offers the ability to manage unlimited lists, each with tasks. You can mark the tasks as completed, or move them around. It has live tiles, backup, and many other more sophisticated features. It is the most SIMPLE and BEAUTIFUL way to manage lists of activities or items. Track things you have to do every day, things you want to do, movies to see, and even share lists between phones! Other to-do list apps are too complicated, do you really ever use them ? – Reorder items by holding and dragging items – easy! – Set list or task reminders – never forget an event!